Pumpkin Spice everything!! This time of year is the time for pumpkin!! 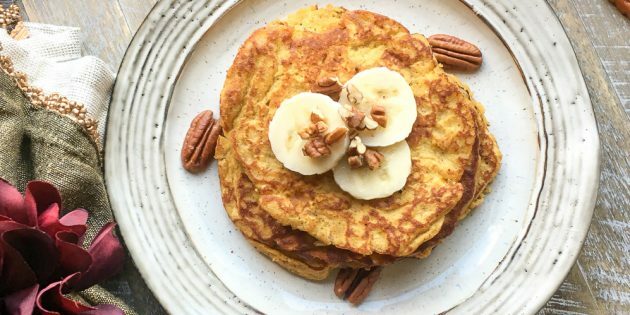 These delicious gluten free pumpkin pancakes are fluffy, moist, and extremely tasty! I had to hold myself back from eating them all myself! Even my husband who isn’t gluten free devoured these fabulous pumpkin pancakes!! So make sure you make enough for everyone!! In a large mixing bowl, whisk the eggs, pumpkin puree, and honey until thoroughly combined. In a separate bowl, combine the almond flour, coconut flour, baking powder, pumpkin pie spice, and salt. Add the dry ingredients to the bowl with the egg mixture and gently fold the two together until blended. Heat one tablespoon coconut oil on a large griddle over medium heat. Once the griddle is hot, spoon 2-3 tablespoons per pancake and cook for 3 minutes on the first side, then flip and cook for another 2-3 minutes on the other side. Repeat this process with remaining coconut oil and pancake batter. 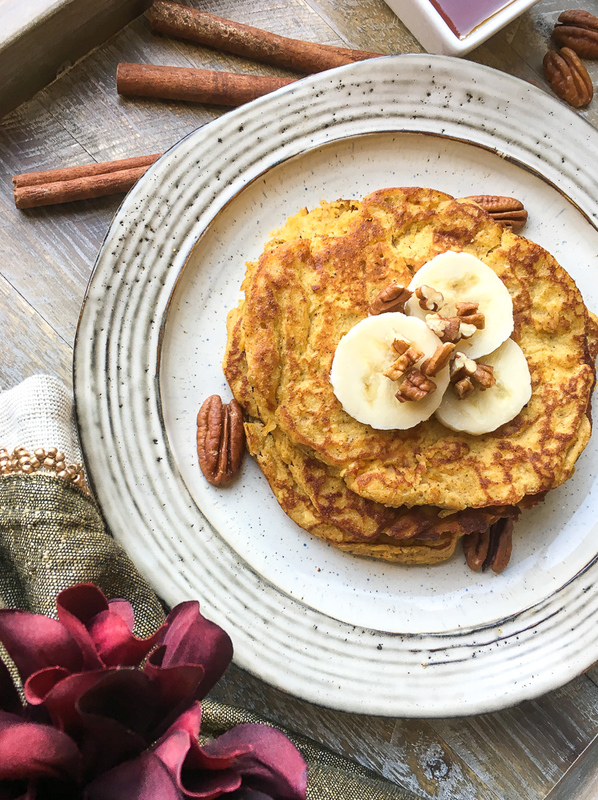 To serve, stack 2-3 pancakes per serving and top with sliced bananas, chopped pecans, and a drizzle of maple syrup, if desired. If you click on any of the links associated with this blog we will receive a small stipend!! Thank you for keeping me blogging!!! The whip this recipe up you can use any kind of mixing bowls. I used my Pyrex Mixing bowls for this recipe and it turned out perfect. 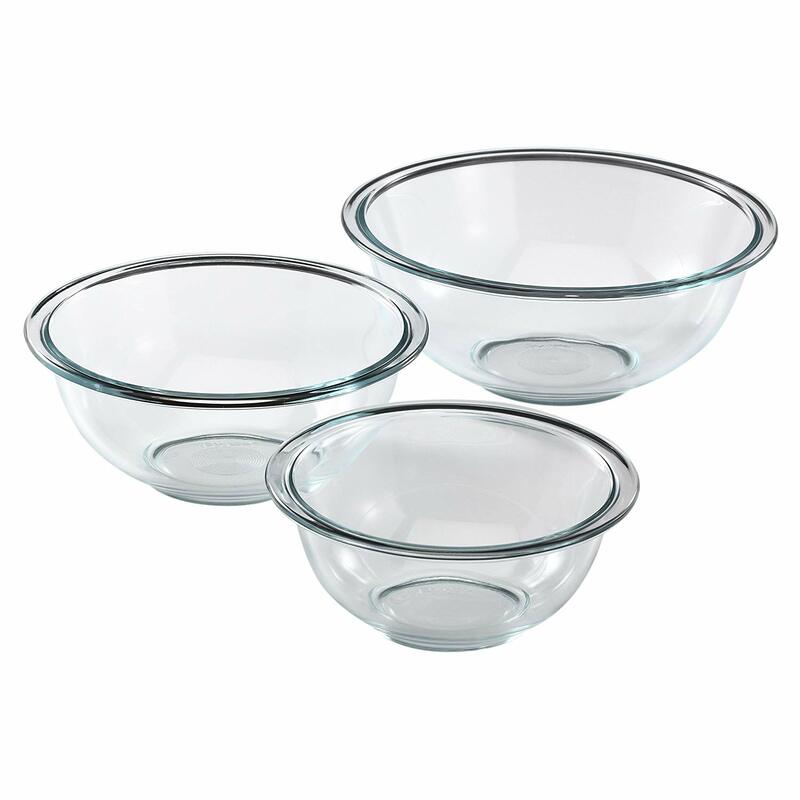 The set that I have linked here comes with three different sized bowls 1-quart, 1-1/2-quart, and 2-1/2-quart which are great sizes for all kinds of applications! They are dishwasher, microwave, and freezer safe as well! Click on the link to snag some for your kitchen! Happy mixing!! When it comes to making pancakes I prefer to use a griddle. With low edges it is easier to get right in there and flip those babies over and not get pancake mix all over the place or destroy your pancake. 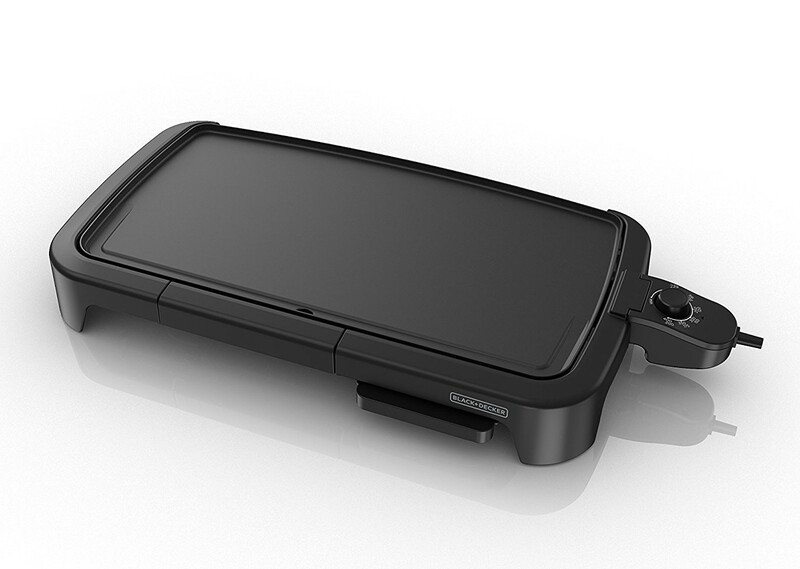 The griddle also has a larger surface area so you can cook more at a time then maybe the two or three that even a large skillet will fit. If you don’t have one already click on the link and purchase one for yourself!